Join JFN and the Jewish Communal Fund of New York for the first session of a three-part series: Tools for Philanthropic Impact. In Session 1: Strategic Philanthropy, we'll discuss how to focus your philanthropic giving on mission, to find organizations that match your passion, to ensure that an organization is legitimate, to examine the governance of an organization, and to compare and contrast organizations in the field. Sally Gottesman has been involved in the not-for-profit sector for nearly 30 years as both a professional and lay leader. Professionally, Sally had a 15 year career as a consultant to not-for-profit organizations, working both at KPMG Peat Marwick and The Eleemosynary Group. She also served as the first NY/Tri-State Regional Director of the New Israel Fund and the first employee of the Israel Women’s Network in Jerusalem. As a lay-leader, Sally is the Co-Founder and Chair of Moving Traditions. Sally is also the Incoming Chair of Encounter, an educational organization cultivating informed and constructive Jewish leadership on the Israeli-Palestinian conflict. Sally’s past Board service includes The Reconstructionist Rabbinical College (RRC), Kolot at RRC where she was instrumental in the creation of ritualwell.org, Congregation B’nai Jeshurun (NYC), The Jewish Funders Network, American Jewish World Service, Americans for Peace Now and The Jewish Women’s Archive. Sally is also committed to research in Neurofibromatosis (NF-1) and is a key leader of N-TAP, the Neurofibromatosis Therapeutic Acceleration Program at Johns Hopkins. Sally is also involved with her family-owned-business, Edison Properities, LLC which owns and operates Manhattan Mini Storage and Edison/Park Fast Parking, primarily in Manhattan and Newark, NJ. Sally’s articles on philanthropy, Judaism, Israel, feminism, and class have been published in a variety of books and newspapers. A graduate of Wellesley College, Sally double majored in Economics and Religion. She received her MBA from The Yale School of Management. She lives in NYC with her three children, Alice (9), Ezra (8) and Charlotte (5). Scott A. Shay has served as a founder and is Chairman of the Board of Directors of Signature Bank since its inception. Signature Bank has grown in less than 12 years from its formation to $20 Billion in assets without any acquisitions. It is one of the few banks to have grown its earnings each year from 2008 through 2011. Since 1980, Shay has been involved in the investment banking and venture capital industries. He has served as Managing Director of Ranieri Partners and its predecessors since 1988. He is also an officer or director of related entities of Ranieri Partners. 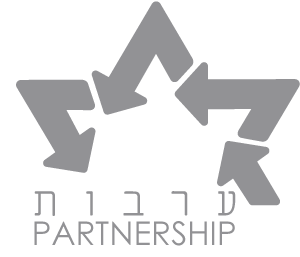 Prior to joining Ranieri Partners, Shay was a director and senior member of the mergers and acquisitions department of Salomon Brothers, Inc. Shay serves on the board of directors of Super Derivatives.From 1997 until 2005, Shay served as a director of Bank Hapoalim, Signature Bank’s former parent company. From December 1988 until February 2001, Shay served as a director of Bank United of Texas. He was part of the group that organized the purchase of Bank United of Texas and grew the bank to almost $20 billion in assets prior to its merger in 2001. Mr. Shay is consulted by legislators on both sides of the political aisle and has appeared as a financial commentator on network television. Mr. Shay is also actively involved in a Jewish formal and informal education. As part of his involvement, he serves or has recently served as a board member of the UJA-Federation of New York, the Partnership for Excellence in Jewish Education, the Jewish Agency, the Birthright Israel Steering Committee and the American Hebrew Academy. He is past chair of the Commission on Jewish Identity and Renewal of UJA-Federation and the Fund for Jewish Education (a joint venture of UJA and the Gruss Life Monument Fund). Mr. Shay is the President of Chai Mitzvah and is the Chairman of the Lapid Advisory Board Coalition of non-profit Israel Teen trip groups. He, and his wife Susan, are the founders of the Jewish Youth Connection. He is the author of “Getting Our Groove Back: How to Energize American Jewry” (Devora, 2nd Edition 2008). Mr. Shay received a B.A. degree in economics from Northwestern University in 1979 and was elected to Phi Beta Kappa. In l980, he received a Master of Management degree from Northwestern’s Kellogg Graduate School of Management. Moderator: Jeffrey R. Solomon, Senior Advisor, Chasbro Investments.